Mini-models are having a moment. First, 12-year-old Romeo Beckham’s new campaign for Burberry was previewed and now Hudson Kroenig, 6, is starring in Chanel’s Cruise collection ads. 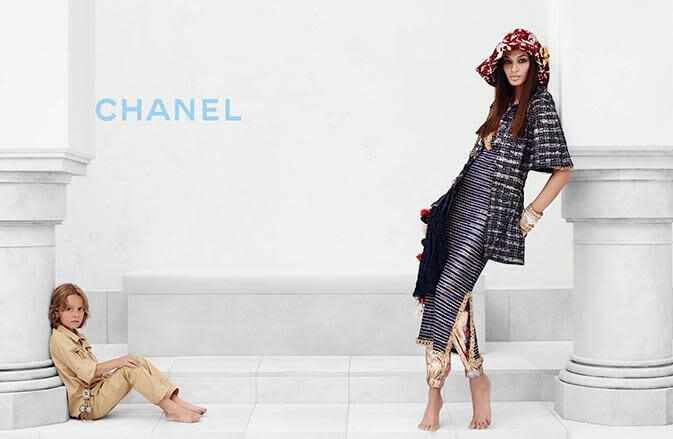 The kindergartener, son of male model Brad Kroenig, one of Karl Lagerfeld's muses, stars with Joan Smalls in a shoot inspired by the Middle East (the clothes first showed in Dubai). Hudson has already walked in multiple runway shows for Chanel, was featured in a Fendi ad, and made a cameo in a Keira Knightley movie. His resumé is grade A at a very young age, but it remains to be seen if the same can be said for his report card.